As STEM goes, so goes the country. The global economic leadership of the United States is inextricably linked to advancement in science, technology, engineering and mathematics. Experts estimate that as much as 75 percent of measured growth in the US economy is attributable to technological innovation. In addition, the overall U.S. science and technology workforce exceeded 7.4 million workers in 2012 and it will continue to grow significantly through 2018, to an estimated 8.65M STEM workers. Yet, the pipeline to fill these future jobs is broken. Only 4 percent of 9th graders eventually graduate with STEM degrees 10 years after entering high school. For African Americans students, the yield is between 1 and 2 percent. Exacerbating the challenge is the changing face of the educated American workforce. While whites accounted for 71 percent of the college-age population in 1990, they are expected to make up only 58 percent of this population by 2020. Minority students will be a growing part of the population – and of the potential talent pool. But too many of these minority students lack adequate preparation to major in, and pursue careers in the STEM professions. 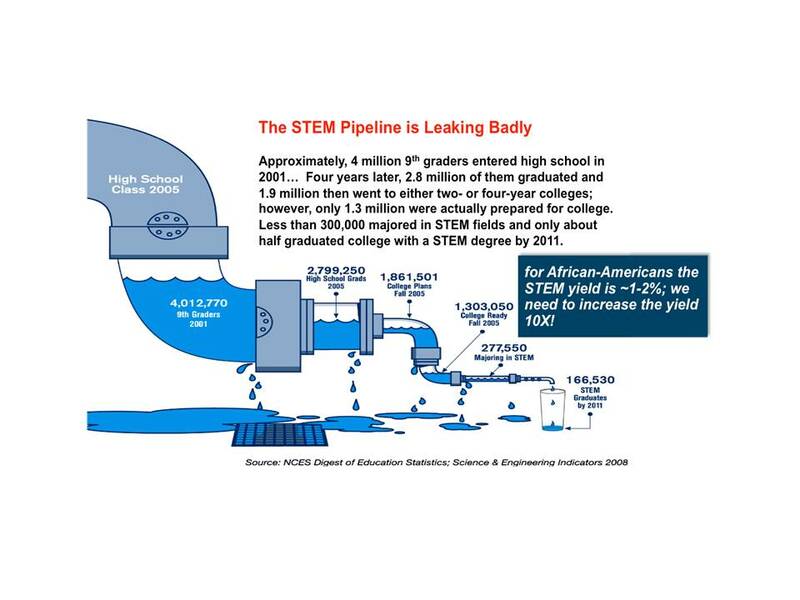 African Americans, comprising just over 12 percent of the population earn just 9 percent of all baccalaureate STEM degrees and make up only 3.9 percent of scientists and engineers in the workforce according to the National Science Foundation. In 2009, only 11 percent of African American and 14 percent of Latino fourth-graders reached proficiency in science. By the eighth grade, these numbers drop to eight percent for African Americans and 12 percent for Latinos. By the 12th grade, only four percent and eight percent, respectively, are proficient as measured by the National Assessment of Educational Progress. Related outcomes for students from low-income backgrounds are similarly discouraging: Only 14 percent of eighth graders eligible for the national school-lunch program were proficient in science. Yet, there is an emerging view that these problems can be solved through scaled investments in more effective teaching and learning in K-12, institutional infrastructure and student skills development support in college, and in a messaging effort that communicates the role of STEM in personal prosperity, community economic development and national competitiveness. 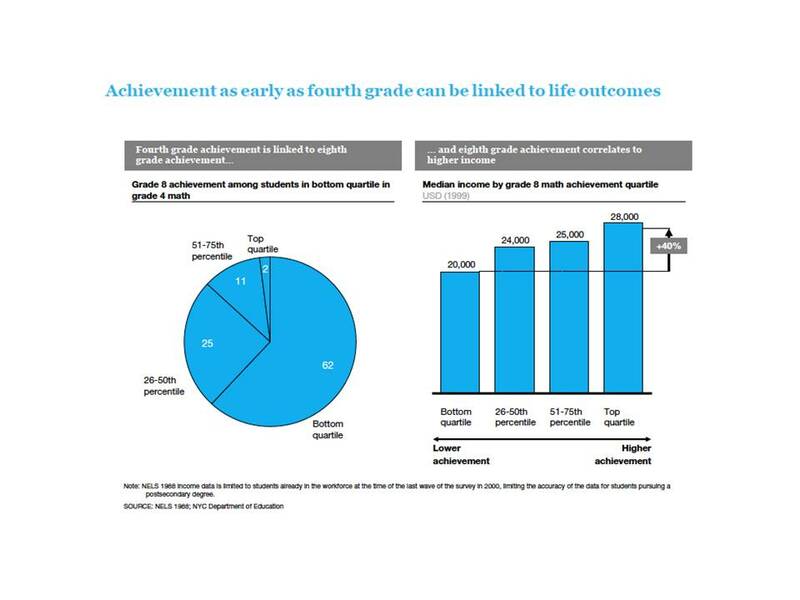 Studies show that performance in fourth grade is an early indicator of life outcomes. Attention must be given to inspiring grade and middle school students to pursue careers in STEM by building their self-efficacy in math, and instilling an inquiry-based orientation in science, a concept I borrowed from Clifton Conrad and Laura Dunek about which I’ve previously written. Here, I’m a huge advocate for the Common Core, the college- and career-ready standards for kindergarten through 12th grade in English language arts/literacy and mathematics that 44 states have adopted. In addition to providing research-based and internationally-benchmarked guidelines about the content that each student should know by grade, the standards most importantly interweave problem-solving, collaboration, communication, and critical-thinking skills into the standards. While it’s foundational to know how to proficiently write a compelling essay and solve algebra equations, preparing students to think and solve problems critically are the 21st century skills vital to regain leadership in STEM. Anything short of that will be failure. It wasn’t until my sophomore year in college that I was scheduled to take any course that demonstrated how I was to apply what I had learned. Until then, all I saw was theory—long equations that had no practical value at the time. It’s a miracle that I even graduated. The Saturday Engineering Enrichment and Discovery (SEED) Academy at MIT, a 10-week program for local high school students was built upon this premise, as was Bob Moses’ The Algebra Project. Colleges (and in fact all schools) should take note that Theory First only appeals to certain learning styles. 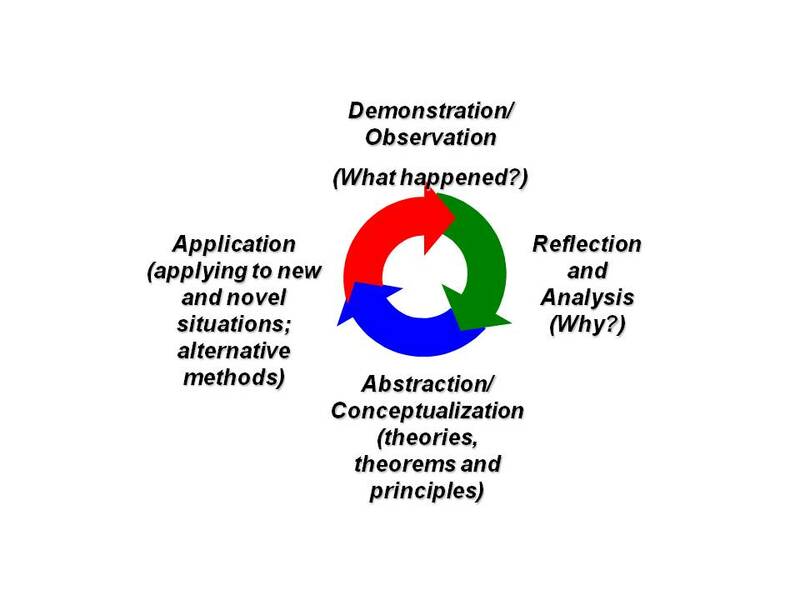 Kolb’s Experiential Learning Method, what I call “theory through the lens of practice” appeals to all types of learners. Engineering students have the most success with bridge programs that level-set admitted freshmen with critical content knowledge. In addition, facilitated study groups challenge and impart essential problem-solving skills. And particularly for women and students of color, science and engineering departments must foster non-competitive learning environments that eliminate the threat of being viewed through the lens of a stereotype and thereby triggering self-defeating attitudes or behaviors. Here, attention must be given to fostering learning climates that develop confidence, building affirming relationships with faculty and among peers, and developing positive identities about their possible future as an engineering or scientist. The STEM Connector, 2012-2013, Annual Report: “Where are the STEM Students” Executive Summary, pg.12. This number (8.65 million) does not reflect people in who are “self-employed” in STEM fields. If “self-employed” is included, the number of people employed in STEM fields in 2012 is 14.9 million, and is projected to reach 15.68 million by 2018. Kolb. D. A. and Fry, R. (1975) Toward an applied theory of experiential learning. in C. Cooper (ed. ), Theories of Group Process. London: John Wiley. Thank you for sharing. I agree with your points, especially target support in college. Thanks for your note. How do we make it happen at scale? We have to push our existing programs in colleges to do better and look at other programs that are doing well. It is about building a strong network and establishing mentor relationships. © 2019 KarlWReid. All Rights Reserved.